The PMR Consulting team is made up of experts with extensive experience of working in Central, Eastern and Southern European markets. Since 1995, we have carried out a wide variety of consulting projects for clients operating in different industries and countries. We focus on international projects carried out simultaneously in a number of CEE, SEE and CIS countries. We have carried out consulting projects for companies representing a wide and diverse range of sectors and industries. We provide research expertise in the pharmaceutical, industrial, construction, FMCG and other markets. We specialise in international consulting projects across CEE, SEE and CIS countries. Thanks to our extensive network of proven partners, we are also well positioned to offer advisory services in other European countries and the world. We have a proven and extensive track record of providing high-quality advisory services to national and multinational companies from all industries and sectors. 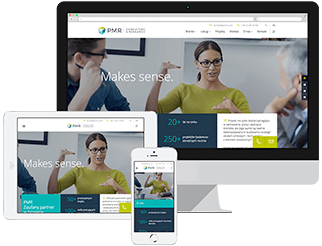 You can find out more about clients PMR Consulting has worked with in our client portfolio.